Saul Marquez: Welcome back to the podcast. Saul Marquez here and I have the true pleasure of having today’s guest on the show. His name is Sean Lane. He’s the CEO at Olive AI. Shawn’s a life long technologist who grew up in a small rural town in Ohio and started his career in the US intelligence community holding leadership positions in the Department of Defense and the National Security Agency. Shawn served five combat tours in Iraq and Afghanistan and was awarded the defense Meritorious Service Medal and Bronze Star Medal for his service. 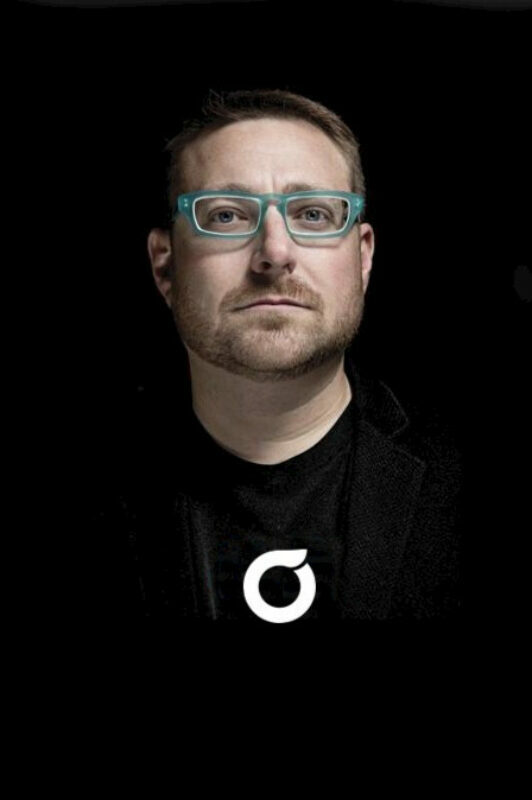 After government service, Shawn started his life as an entrepreneur and has since founded several technology companies dealing with big data, advanced analytics, and any resolution and most recently artificial intelligence. He’s raised over 70 million in venture capital, he’s a leading expert in applying A.I. in healthcare. He’s a graduate of Miami University which is where I went too and also an Honorary Doctorate of public service from the University of Rio Grande and was previously named Ernst and Young Entrepreneur of the year. So a lot of accolades here a lot of great things going on. So it’s a privilege to have you on the podcast Sean thanks for joining. Sean Lane: Thanks Saul, it’s a pleasure to be here. Saul Marquez: Hey so Sean you’ve done a lot in your life and I appreciate your service and all the things that you’ve done for the country and now you know the work that you’re doing in healthcare. What is it that made you get into this sector of healthcare? Sean Lane: Well thanks I appreciate it. So I was… it was around 2011. I had just sold my last company and living… I was living in Baltimore Maryland really looking at what to get into next. You know I had started to invest in startups and was creating a few technology companies mostly centered around the world I knew which was defense and then my hometown which is again a small rural town in southeastern Ohio was having a pretty acute problem with prescription drug abuse and you know I had friends and family that were affected by that problems. I really wanted to do something to help. And just given my you know technology intelligence background I started to think about solutions. I got in contact with the CEO of the local health system there in my hometown and that’s really when I started to look at healthcare and that healthcare system let me look at their data systems and look at their health information systems they were using and the takeaway I had initially was “Whoa you guys don’t have the internet” healthcare doesn’t have internet nothing’s connected, no data is being shared, you don’t even really know who a patient is across different organizations. So it became a mission of mine back in 2012 to build the internet of healthcare to try to connect everything together and that’s really what ultimately led to where we are today with all of which is creating this layer of artificial intelligence that one day will be able to connect everything together. Saul Marquez: Very cool very cool. I love that and yeah it’s just organic. You found a way to give back to your community and your skills and talents just dovetailed nicely into it. Give us an example of how you’ve done things differently and created results. Sean Lane: Yeah. So when you look at things like connectivity and interconnectivity in healthcare a lot of focus goes into homogenizing kind of data flows behind the scenes in the systems API is and how connectivity can occur between different pieces of software. And we’ve never really even though that’s been our focus we’ve never done that very well in health care and we took a little bit of a different approach to it at all. We said “What if we could create a software robot that could log into any piece of software just like a human would and take on tasks that a human would typically perform.” We found that there’s a lot of repetitive kind of high volume tasks that were being done at really high costs especially in the billing and financial side of healthcare administrative side and you know what we got different orthogonal approach we took to it was if we can create a software robot that can take over these tasks we can A) reduce a lot of the costs of healthcare but B) we can start to allow these bots to create connections with each other in ways that just software alone could never do. So it’s almost like creating a software user and then allowing that software users to share data between each other to really overcome a lot of the boundaries between software that exist today. Saul Marquez: Yeah that’s a really neat idea. And I note that one of the very common misconceptions of A.I. and empowering bots to take on repetitive tasks is that hey it’s going to take my job from my angle couldn’t be further from the truth. But I mean I’d love to hear what your thoughts on that are. Sean Lane: Yeah. A couple of things. I mean if you look at history that’s never proven to be the truth. Right I mean there’s been a lot of advancements or times in history where technology has been used to scale humans. That’s kind of the the lingo we use around here scaling humans is essentially getting more out of the human workforce and allowing technology to enable people to accomplish things they never could before. That’s always been the case throughout history whether it be the wheel, or the printing press, or the combustion engine, or the internet, personal computers that’s always introduced this technology that allowed humans to do things that they never thought possible the same thing will happen with A.I. and healthcare. It will free up the humans it’ll take the robot out of the human and allow the human to spend more time doing things that are uniquely positioned for them. So I think the only way for us to achieve some of the moon shots that we have thought about with healthcare like interoperability like curing rare diseases and introducing new drugs more quickly those things can only be done by the introduction of a scaling technology and I think A.I. is that technology. So what we’ll find is new positions will be created as a result of this. In fact it will probably increase employment in healthcare versus decrease it. Saul Marquez: Love that. Yeah I think it’s a great call. So as we build out different use cases for the technology I’m sure you’ve run into some issues. Can you share maybe a setback that you had what you learned from it? I feel like we learn more from those things and the good stuff. Sean Lane: Well you know when we first started looking at software robots doing jobs in healthcare, our aperture was very wide right. So there’s so many different tasks within healthcare. There’s so many different ways to apply this technology and it becomes an issue of where do you want to start and where do you want to focus. So in the beginning we were very wide in our aperture we really looked at a lot of different departments and places within the healthcare system that we could apply this technology. And some were better than others and when we applied this to some lower volume tasks or things that we’re not necessarily equipped or there wasn’t a lot of human data to train the A.I. system we didn’t find as good as results when we really focused in the high volume repetitive tasks that humans have been doing. But there’s a lot of historical data to train A.I. systems. We found a lot of success. So mistakes early on were basically trying to boil the ocean with the technology versus finding the first immediate impact and where we can have the highest effects of really introducing this new technology into the operations of everyday healthcare. Saul Marquez: Yeah I think that’s interesting and so as you guys boil down to the things that you wanted to niche down to you’ve had more traction. And so what would you say today with some of that traction is one of the most proud things that you’ve achieved at Olive? Sean Lane: Yeah that’s a great question. So there are many situations now many examples where Olive has gone in as a digital employee as another colleague into these organizations specifically in red cycle and has freed up the humans to do things that they’ve never had the time or just hours in the day to do. So hearing from them and hearing them that they would not go back to the old way that if they had to go back to the old way they would quit, those kinds of things are really good for us because it’s not just saving money for the health system. It is increasing and improving the quality of life of the workers. So instead of sitting in front of our computers and acting like robots they can use their skills to do things that they’ve always wanted to do and just never could and constantly we’re hearing those stories across different healthcare organizations that have adopted it. So that’s probably the thing that we’re most proud of is really providing tangible asset to them that they can rely on every single day, they can lean on every single day to make sure that these jobs are getting done and getting done consistently. Saul Marquez: Love it. How about today. What’s an exciting project or focus that you’re working on? Sean Lane: Well so today we we have built this really amazing platform upon which we build the olives, building a A.I bot, building a software robot that can go in and learn the tasks of hospitals and be able to replicate those is not necessarily easy right. So we’ve built this really incredible platform that allows us to do that and now we’re making advances in that platform that allow us to build olives much more quickly, much more efficiently and not only has that allowed us to proliferate all of into healthcare at a much higher velocity. It’s also allowed us to open up that platform to others who want to build upon it so it won’t just be all of building olives. It will be any organization that uses our platform could build their own olives and that exponentially has an impact on the digital workforce that will soon be a large majority of what’s happening in healthcare today. Saul Marquez: So why do you go with the name Olive? Sean Lane: You know we were brainstorming names for this robot. We wanted it to accomplish a couple of things we wanted to have a female name because a lot of healthcare is dominated by female leadership. So we really wanted Olive to come with that credibility from the beginning. We wanted it to be something that was a thing and a person’s name kind of A.I’s human ask but also technology. We also wanted it to… It had the word live in it which we thought was important for healthcare. The icon stands alone pretty well and say one word fruit. Kind of like Apple which we thought was neat. Saul Marquez: I love that. I love that. Now that’s really good. Appreciate you sharing that. And so it sounds like it’s a mixture right. So you guys will… can take a client by the hand start to finish or now at the power of the platform. Somebody that’s a little more advanced and wants to get their roll up their sleeves. They could go and create olives as you call them the bots to do the work by themselves for their own organization. Sean Lane: Yeah that’s exactly right. And we’re we’re really excited about the again the exponential power that has and bringing all of us to the world. I mean we may be able to build thousands of olives here in 2019 but with our partners we could build tens of thousands or hundreds of thousands. Sean Lane: Right. So we’re a hundred percent focused on healthcare and it’s not just hospitals and providers but it’s also healthcare companies companies that are doing mini high volume work on behalf of payers or hospitals or you know revenue cycle things like that. So if you’re in health care then it’s probably relevant to you. Typically it’s in the finance or red cycle areas in healthcare and usually like the BP of red cycle, the CFO, Director of patient financial services. Those are the folks who are most keenly interested in what we can bring to bear immediately. And we’ve also had a lot of great relationships with CIO’s and CTO’s and organizations in both the provider setting and the non provider setting. So if you’re in one of those and you know those names or those positions that would be who you’d want to forward it to and we can come and do demos and provide you kind of a roadmap of how to be successful with A.I. and specifically with olive. Saul Marquez: Outstanding. That’s really helpful. So really appreciate you making it a little more granular Sean. That way we could encourage folks looking to make a difference in their organization and the financial aspects as well as empowering their people. You know exactly who they are. So getting close to the end of the podcast here. Let’s pretend you and I are building a course on what it takes to be successful at A.I. and healthcare. It’s a syllabus with some lightning round questions followed by a book that you recommend to the listeners. You ready? Sean Lane: Yeah. Let’s do it. Sean Lane: The best way is to allow resources to be focused in the things that can drive the most results to patient care and to do that you need to free up resources by allowing automation to take over a lot of the repetitive tasks that you’re currently doing, that will then free up resources to focus on a lot of the outcomes in the patient care. Sean Lane: The thing to avoid is trying to homogenize all the data behind the scenes. It’s a task that didn’t quite bear fruit when it has been tried in the past. The easiest way to overcome interoperability is using automation on the front end and it’s really one of those things that a lot of people fall in the trap of. But with automation and with all of specifically you could overcome on interoperability very easily. Sean Lane: I think for us we like to talk to our customers about being on the forefront of the adoption of this technology. Most people can understand that this is inevitable and it’s happening. The question is how do you want to create a road map that shows instant traction with you and your leadership team so that you can have winds inside the organization immediately to know that this is an actual technology that needs to be adopted and implemented operationally and not just something that smoke and mirrors. So it’s really important to start with something easy, get the quick wins, and then start proliferating through your organization. Saul Marquez: Love that. What’s one area focus that drives everything in your organization Sean? Sean Lane: We focus on the platform pretty holistically because we want to make sure that it becomes easy efficient and effective to grow Olive to build the digital workforce of healthcare’s future. To do that we need to make a platform that can handle a myriad of tasks and that can be used by pretty much anyone in healthcare to build this digital workforce. Saul Marquez: What’s your number one success had it? Sean Lane: I would say it starts in the morning. Mornings are super important to me. So spending a you know an hour of my own time is really an important habit for myself. Spending that time to focus to get the day set and then having everything else be very very calculated where I spend my time. Time is the only asset that you cannot get more of. So that is the one you have to manage the most with the most precision. So spending as much time as possible meeting with actual humans and not spending my time during the day working behind a computer. Saul Marquez: Love that. What book would you recommend to the listeners? Sean Lane: My current one is High Growth Handbook. Love that, Elad Gil. He did a lot of interviews with executives and entrepreneurs that have been part of high growth companies and it’s a very tactical, very pragmatic approach to growth, and one that has truly been missing there’s a lot of founders and startups books there’s a lot of company management leadership books but I think Elad has really laid out through his interviews some really good strategies and tactics for folks that are taking companies from call it ten to one hundred million. Saul Marquez: I love it. What a great recommendation. Folks you could find all of these things on the website, in the show notes just go to outcomesrocket.health and in the search bar type in olive or type in Sean Lane and you’ll see this episode pop up you’ll see everything get to play it again. It’s the place to go for all of these things. Sean this has been fun. I love if you could just leave us with a closing thought and then the best place for the listeners could get in touch with or follow you. Sean Lane: Thanks Saul, it’s been fun. The thing I’ll leave you with is automation is here and automation is definitely a part of the future. If you work in a healthcare organization whether you’re a provider or work in a company that’s not a provider you will have a digital workforce. So it’s imperative that you figure out how to start doing that today. How to start bringing that on board and you’ll find that that’s going to change completely the resource allocation of your organization. Saul Marquez: Love it. And for more information and if they want to get in touch where did they go? Sean Lane: Yeah. Just go to oliveai.com. You can also add me on LinkedIn and reach out to me directly there and there’s so many resources at oliveai.com. You can also go to olivequarterly.com which is our quarterly publication which basically tells you everything that we’re doing. Saul Marquez: Love it. What a great place to go for more info listeners. So make sure you do that. This is a great opportunity for if you’re looking to apply A.I. in a quick way. Take a look at what Olive’s up to because there’s definitely something there in your rev cycle that they could help you with instantly. So again Sean I want to thank you for your time. Looking forward to staying in touch with you. Sean Lane: Thanks Saul, appreciate it. Take care. The above audio transcript of “Simplifying Healthcare Workflows with AI with Sean Lane, CEO at Olive AI” was transcribed by the best audio transcription service called Sonix. If you have to convert audio to text in 2019, then you should try Sonix. Transcribing audio files is painful. Sonix makes it fast, easy, and affordable. I love using Sonix to transcribe my audio files.